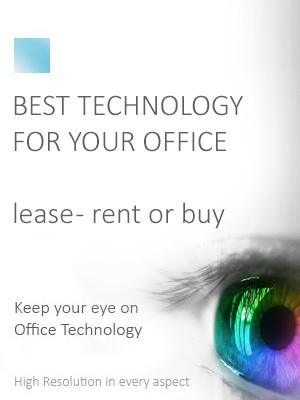 You can Buy or Lease an amazing Office Machine using Mitronics In-House finance! The Brother ADS-1100W is a versatile, compact document scanner which is easy to use and reliable.Del.. Compact Document Scanner that offers high speed scanning with wireless connection Compact Document S..
With a 7.1cm LCD colour touchscreen and the ability to create up to 20 custom shortcuts to your freq.. The easy to use ADS-2200 desktop scanner is the ideal solution for a variety of business scanning ne.. Featuring rapid 2-sided colour scans, high-speed wired and wireless connectivity, and an intuitive 9.. Featuring Network and USB connectivity, scan speeds of up to 50ppm and advanced pre-processing funct.. Featuring scan speeds of up to 50ppm, wired/wireless connectivity and touch to connect for direct sc..
With the ability to scan 2-Sided documents at the touch of a button and powered simply by USB, the ..
Brother’s Fax-2950 monochrome laser business fax with built-in handset and digital scanner offers i.. The FAX-515 is the ideal choice for home or on the desk at work.With a fax, phone and copier in one.. The compact, stylish design of the FAX-827S makes it an ideal choice for personal use and light vol.. Besides being a thermal fax, FAX-837MCS comes housed with a string of cool tools to handle a multit.. The FAX-878 - 3 in 1 Sheet Fed Digital FAX Machine is a Plain Paper Fax, Plain Paper Copier, Teleph.. The DocuMate 4830i scanner is an effective way to manage large-sized documents and import them to a ..
With reliable paper handling functions and a range of advanced image processing capabilities, the B.. The Brother PDS-6000 is a robust and accurate professional document scanning solution with an ultra.. The DocuMate 3125 colour sheet-fed scanner quickly converts your documents, plastic cards and forms ..
An ideal device for small business to digitize, store and categorize their important documents, cons.. The DocuMate 4440i is one of the fastest and easiest to use scanners in its class. With its advanced.. Versatility, high-speed and superior reliability makes the DocuMate 4799 a powerful scanner for dema..
50 ppm 100 sheet document feeder Edit scanned documents ..
60 ppm Scan directly to e-mail or network folder Edit scanned documents Secure documents wi.. DISCONTINUED PRODUCT Scanjet 9000 Photo Scanner..
45 ppm Scan directly to cloud or sharepoint Fits in around the office Can handle 3000 pages.. Designed for multiple users 15 ppm 50 sheet document feeder Easy to learn control pane ..